While doing errands yesterday I had the chance to stop by a couple places I have been meaning to get to. The first was the new shop Ink and Peat. 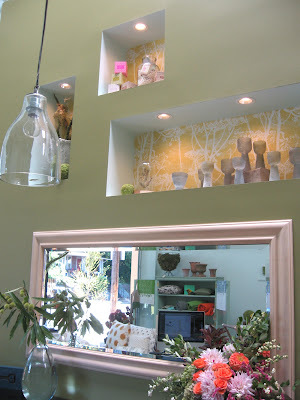 This floral and home style store is run by the woman behind the Housemartin Blog. I had been following her blog for a while before I realized she was in Portland (this happens to me way more often than you would imagine - just a testament to how many crafty/design people are in Portland). Her store is so beautiful - wide open and full of light. It is like a little vacation to browse the store. 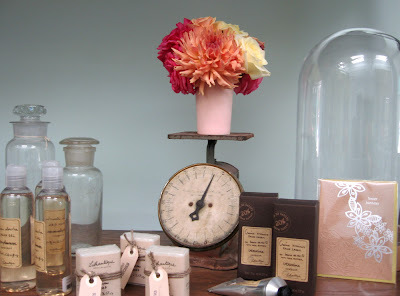 The merchandise she has chosen to carry and the flower arrangements she has created are stunning. My favorite part yesterday was how she displayed things, using things like old rusty scales. The contrast between the old and rusty and the full bloom of colorful flowers was really pleasing. I very much liked these little spikey bowls. Everything there was beautiful. Stop by for a visit. After I left Ink and Peat, I remembered Tidalwave and was so excited to have the chance to stop by. Tidalwave is a bookstore that sells old library books. 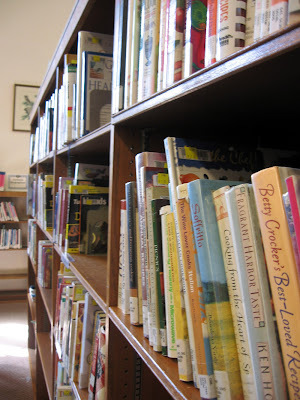 It is part of the library system and you can get some great books for very little. In fact, I saw a very popular vegan cookbook (which I already have) for $2.00! I especially love Tidalwave for cookbooks, but they have everything! Their weekend hours are very limited. They are closed on Sunday and only open till 4pm on Saturday, which is one of the reasons I seldom get there. 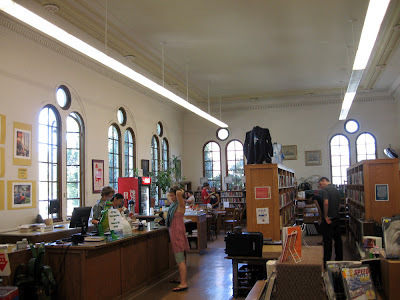 It is located in a old library built in 1912 and it is one of many favorite places in Portland. One of those places that makes Portland so great. I got a locally self-published book along with a couple cookbooks and a vegetable identifier book that was really cool. I also got the dvd Xanadu. I have actually never seen it, can you believe that? The self-published book gave Steve and I hours of hilarious fun last night, which is why I am not mentioning the name of it, but let me just say that for $2.00 it was the best thing I have bought in a while. P.S. Surprisingly, we were left with real admiration for the authors self-confidence on the book she put out, even of we did find it to be an absolute train wreck. That bookstore looks awesome. I need to check it out next time I'm in Portland. 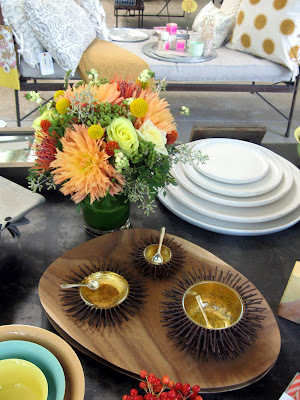 I really like the urchin-looking bowls! !